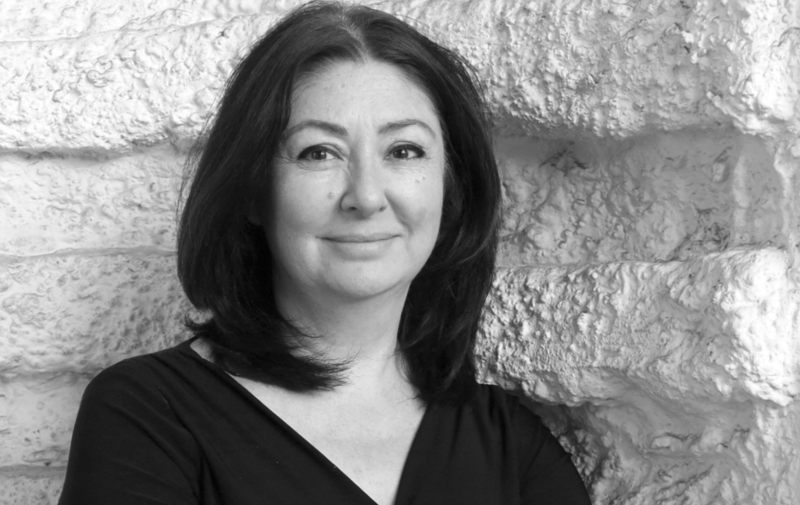 Maryam Namazie is a secularist and women’s rights activist originally from Iran, from which she fled in 1980 after the establishment of the Islamic Republic. She has worked around the globe on behalf of refugees, and has won numerous awards for her humanitarian advocacy. In 1991, she founded the Committee for Humanitarian Assistance to Iranian Refugees and has served as the executive director of the International Federation of Iranian Refugees. She is a spokesperson for the Council of Ex-Muslims of Britain and is on the Central Committee of the Worker-Communist Party of Iran. Namazie was recently the subject of controversy in Britain after a speech she gave at Goldsmiths College was disrupted by members of the college’s Islamic Society, who heckled her, disabled her projector, and attempted to prevent her from speaking. The student union of Warwick University also blocked the university’s Atheist, Secularist, and Humanist Society from inviting Namazie to speak, with student union officials saying that a “risk assessment” of Namazie had concluded she was “highly inflammatory” and therefore would violate the school’s policy on external speakers. Namazie spoke to Current Affairs from London. 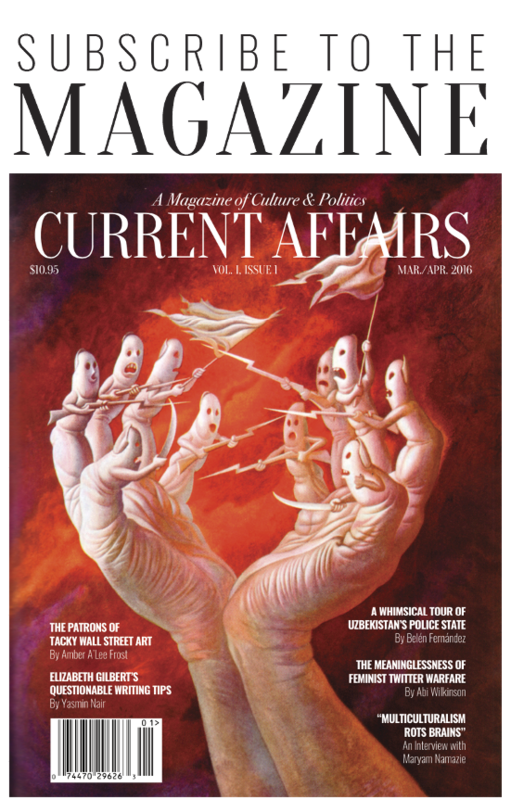 Current Affairs: Most of those who are vocally critical of Islam and Islamism today seem to come from the far right. You come from the left. What is the substance of your criticism, and how does it differ from that which we hear from the ​nationalist, anti-immigration camp? Maryam Namazie: Well, I don’t agree that most of the criticism comes from the far right. I think that’s a narrative we’re often fed, whereas if you look at a large amount of the resistance that takes place against Islamism, whether it’s from the Middle East, North Africa, South Asia, or the diaspora of immigrants and refugees who have fled those regions, you do find that a lot of those people are on the left. So, I work with lots of women’s rights’ campaigners, for example, secularists who are very much on the left… I think it’s not the far right that’s the only vocal opposition. It’s been portrayed as such, in the same way as it’s been portrayed that Islamists represent Muslims. There’s a big difference between a left or human perspective in this fight against Islamism and a far right perspective. Fundamentally, I think the difference is that the far-right politics is also a politics of hate very similar to Islamist politics. Islamism is also a far right movement. If you look at the far right, they are primarily defending what they consider a “Christian” West, vis-a-vis a “foreign” religion: Islam, and what they consider foreigners. And it’s very much based on placing collective blame on Muslims and migrants, seeing them as one and the same with Islamists. My perspective, and the perspective of many of the people who fight with me, is human-centered. Islamism is a fascist movement, we have to be able to oppose it. Islam is a religion, we have to be able to criticize it, whilst defending universal values, secularism, and equality between men and women. Not placing collective blame, and seeing dissent amongst those deemed ‘other’ as well. So I think there’s a huge difference between the positions. CA: But perhaps while in Muslim majority countries, these criticisms are going to be secularist and humanist, in the West the dynamic is slightly flipped. You’ve been very critical of Western liberals for what you see as their siding with right-wing Islamist movements in their attempt to defend multiculturalism and anti-racist values. But isn’t that just a product of the fact that in America the foremost critic of Islam right now is Donald Trump, so anyone who wants to be on the left is going to have to side with Islam in order to be against racism? MN: But again, I don’t think that’s true. I think that’s the image that’s portrayed by government and the media. It’s a very simplistic narrative, where Islamists represent Muslims, and obviously that’s not true… Both sides use the same narrative, that of multiculturalism and cultural relativism, even though they reach separate conclusions. In practice, both sides see the Muslim community as a homogeneous community, and therefore the regressive Left feels that it needs to side with the Islamists if it’s going to defend the “Muslim community,” whereas the far right blames Muslims for Islamism and therefore attacks all Muslims. They both have a simplistic view of communities and societies. In fact, there are so many people on the front lines, fighting against the religious right. Unfortunately, they seem to be invisible in the mainstream media. So if it weren’t for social media, no one would know of me, and still really no one knows of me, even though I’ve been fighting Islamism for more than twenty-five years. The people I gathered together at a 2014 secularism conference are battling various religious right movements, whether it’s the Buddhist right in Sri Lanka and Myanmar, whether it’s the Hindu Right, whether it’s the Jewish Right in Israel and the settlements, or the Christian right and so forth. Very often we don’t see the many people who are standing up to the religious right in various contexts. CA: How do you carve out a stance that criticizes both the homogenizing effects of left-wing multiculturalism as well as the racism of the right? Because obviously sometimes you’ll have to defend the rights of people you disagree with, even Islamists, when they’re being subjected to bigotry. MN: It goes back to a point that has been made by [British secularist writer] Kenan Malik, that with the rise of identity politics, solidarity is now either with identities or against identities rather than with ideals, social and political movements, and dissenters. But it’s quite clear cut: if I side with humanity, then it’s very easy to be anti-Islamism, anti-imperialism, anti-racism, and pro-universal rights. In fact, it makes perfect sense. The left can’t be against one kind of fascism, but then defend another kind of fascism, the Islamists. Similarly, the far right only feigns to care about women’s rights when Islam is involved. They’re quite happy if abortion clinics are being bombed or Planned Parenthood’s funding is being cut. In that kind of politics, there’s no consistency. But when you have a politics that’s centered on the human being, not culture, not religion, not limited self-interest, that’s left politics and what the left has traditionally stood for. Unfortunately, with decades of multiculturalism and cultural relativism, the brains of many people on the left have completely rotted; cultural relativism is in the DNA of much of the left now. CA: Surely there’s a defensible version of multiculturalism, though? Because presumably what you mean by that term is legitimizing anything that occurs in another culture simply because it’s in another culture, and allowing that to trump universal human rights. But at the same time, there is an important principle in recognizing differences among peoples and allowing those differences to flourish. So what should people who want to be multicultural aspire to be? MN: I think multiculturalism as a lived experience is a very positive thing. But that’s not what “multiculturalism” is today; it’s a social policy. So, in Britain today, multiculturalism as a social policy segregates and divides people into ethnic and religious communities. And what we’re seeing is a push toward separate faith schools, separate courts even, as well as separate faith-based social services. So because people are seen as having their own culture, with government willing to outsource its services to regressive faith organizations, who basically manage minority communities on behalf of the state. So we no longer have the universal concept of people being citizens irrespective of their beliefs and backgrounds. And it’s not just in Britain, it’s a global policy. So it’s like what happened after the Iraq war, it’s the Iraq-ization of the world, split into different ethnicities and religions and never just human. And it segregates and separates people to the point where it seems like we no longer have a common humanity, and the only thing that matters is religion and culture. Don’t forget, also, that even people within a religion practice it in many different ways. And when you say that this is one “Muslim community,” for example, you’re basically holding as the marker of that community those with power, those with influence, the most regressive and conservative forces. And given that we live in an age in which Islamism has so much power and influence, it’s actually handing over communities to the Islamists. That’s a very dangerous thing, so we need to be clear about these distinctions. CA: Would you say, then, that people just need to maintain a clear distinction between “Islam” and “Islamism”? Or would you say that Islam itself is inherently problematic? MN: There’s a huge difference between Islamism and Islam, in the sense that Islamism is a political movement; it has state power. Obviously that’s very different from a belief. Though I think all religions, including Islam, are regressive and inhuman, filled with homophobia and misogyny. I think we have so many wonderful ideas in the 21st century, that we don’t need to rely on something passé. But that’s my personal opinion, that doesn’t mean people don’t have a right to their religion and to believe what they want. Religion is a lived experience, not just a faith. A lot of people are born into the faith, like myself, you don’t really have a choice because of the geography where you are born or the parents to whom you are born. You’re deemed to be that religion, so religious affiliation has very little choice involved. You’ve got it stamped on you from birth, often it’s even stamped in your passport without your permission. So you grow into this religion without really choosing what you want, and what you don’t want. So you find that there are plenty of Muslims who have never read the Koran; they know religion from their parents and schools. That’s why not everyone who is Muslim agrees with everything in the Koran, the same way not everyone who is Christian agrees with the Old Testament. People pick and choose, and they mold religion in a way that’s suitable to their lives. That’s why making distinction between Islam and Islamism versus ordinary believers is important. CA: Does that, then, speak to the possibility for a moderate and liberal reformed version of Islam? Or do you believe ultimately that’s not possible? MN: For myself, as an atheist, I really don’t care what people want to do with their religion. That’s their prerogative, but the more religion is deformed the better. The more it’s dragged into the 21st Century, the better. But when it’s in a position of political power, then it’s a power question rather than a question of personal belief, and it has life and death implications for people. So then it’s an issue for all of us. For me, I think if we can push it out of the state, out of power, it will actually allow a lot of people to breathe. Not just ex-Muslims like myself, but many practicing Muslims as well, who don’t want to live according to the prescriptions of the Iranian regime or the Saudi regime or ISIS, or even the supposedly nicer versions like the Jordanian one. They don’t want to abide by Jordanian law or Indonesian law. CA: You say Islamism is a political movement. To what extent, then, should we be talking about its political rather than religious causes? A lot of young men who join ISIS, for example, are disaffected and alienated rather than being particularly devout. Is this really a poisonous set of ideas, or is it a product of people’s conditions? MN: Of course you can believe in Islam and not be an Islamist, like my parents for example. So it’s not necessarily religion that’s the problem. There are a lot of religious people who I work with, who are active on my side against Islamism and for equality. But when it comes to Islamism as a political movement, to say simply that there are young people who are disaffected isn’t the whole truth. There are many people who are disaffected who don’t turn out to be fascists. The same is true in the West; you’ve got lots of people for example who are white and working class. Well, some might become fascists, other will become unionists and leftists. I’m someone who is disaffected too but who has gone toward the left. I think this equation, with the oppressed always necessarily becoming fascists, is quite offensive when you think about it, because there are many who aren’t. Unfortunately, I think because the mainstream left, the visible left, is very much pro-Islamist, you have people who actually want to join the left because they care about social justice ultimately being handed over to the Islamists. I’ve met ex-Muslims who became Islamists via Stop the War Coalition meetings and such. CA: Most of the people you’re talking about would vigorously dispute that they are in any way pro-Islamist. They would say they are acting against racism, rather than acting in favor of Islamism. MN: I don’t think I hold a very rare position. There are so many like me, which is why I feel quite comfortable with my position, I don’t feel like I need to back down, I don’t feel alone, I don’t feel under attack. One of the things I am trying to show is that my position, this left, human-centered perspective, is actually very mainstream, including in Iran, Iraq. In Iraq you see mass demonstrations with placards saying “Neither Shia nor Sunni but Secularism,” but you won’t find one media outlet reporting on that. Everyone knows bin Laden’s name, but how many people know those heroes in the Middle East and North Africa who are leftists and secularists and fighting at great risk to their lives? That’s where I see myself coming from, considering my background as an Iranian and the Iranian revolution, which was left-leaning but which was expropriated by the forces of Islamism.